We frequently get asked "What kind of questions should I be asking my team?" We think the default questions we start you out with are important, but customizing what you ask your team is an important way to get the most out of SproutMark. Click "Add Question" to add this question to your list. 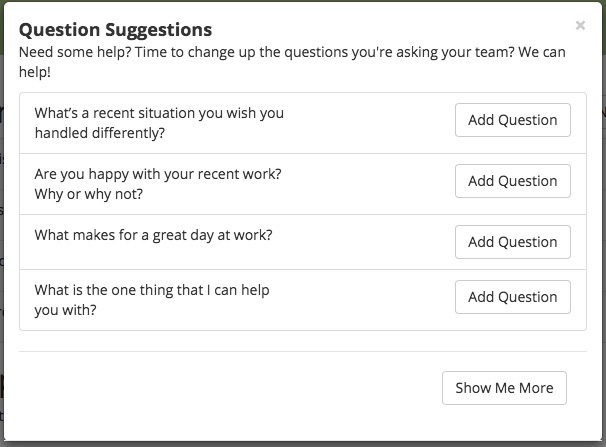 We hope this new feature gives you some great ideas of what kinds of questions to ask your teams!